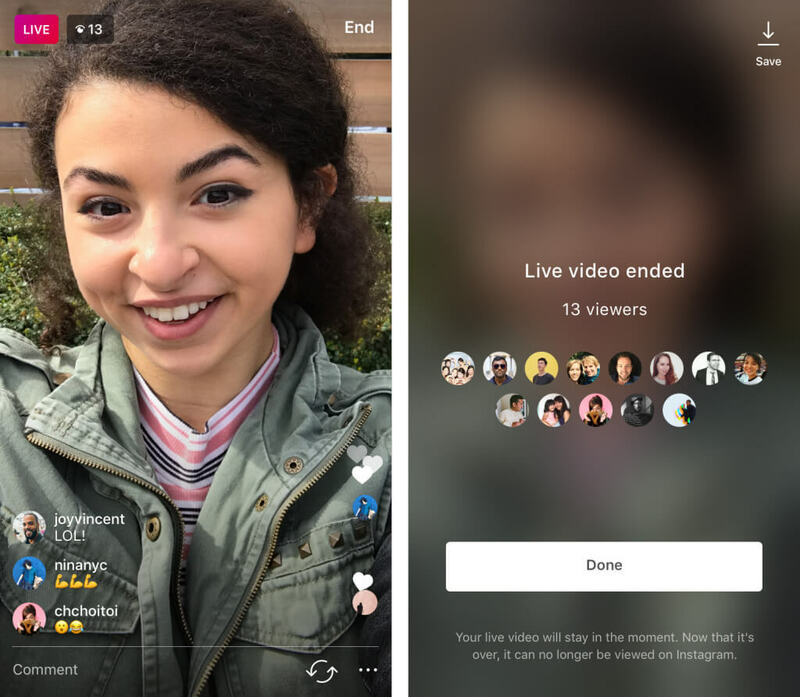 When Instagram jumped into the live broadcasts bandwagon in November the company touted the feature as completely ephemeral: there is no option to replay a broadcast, so as soon as the video ends it disappears. This is was by design as the company claims it lets people be more spontaneous knowing that the video won’t be available to everyone for replaying later. Today the company launched an update that only slightly changes this by allowing broadcasters to download a copy of the video after they’re don broadcasting. The Live Stories will still disappear from the app when you complete the stream but you now have the option to archive the footage for yourself. The new option is accesible through a new "save" button in the top right corner of the screen after you finish a live session. You'll only be able to save the video itself, not the likes, comments, or other real-time interactions that took place during the broadcasts. It’s also worth noting you can only save a video immediately after its finished, so there’s no going back if you forgot to tap the button. Instagram Live videos rolled out by the end of last year and except for the ephemeral aspect of it, the feature works very much like Facebook Live and Periscope. Viewers can comment or tap repeatedly to add hearts, while broadcasters can add comments too and pin a particular comment the top of the reel. They also have controls to hide comments and block or report anyone who harasses them.